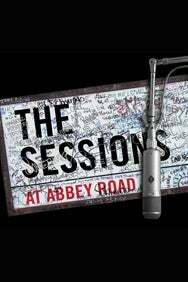 We do not curently have theatre tickets available for The Sessions at Abbey Road. This could be because we have simply sold out or it could be that this show is no longer running. The information on this page remains purely for historical and informational purposes. Abbey Road was more than just a recording studio for The Beatles. Paul called it their monastery, that’s why they names and album after it. The SESSIONS at ABBEY ROAD is a once-in-a-lifetime backstage pass to a magical moment in history. Each song  from the first recording of ‘Love Me Do’ to ‘The End’  is played exactly as it was recorded. For the first time in a generation, all instrumentation, arrangements and vocals are identical to the original records  the closest thing to actually being in the studio with John, Paul, George and Ringo. Overseen by the legendary recording engineer Geoff Emerick, authentic environment. The original studio has been meticulously restored while the singularity of each album is captured through unique choreography. Dazzling cinematic effects take you on a journey from early Liverpool to swinging London and the phenomenon of Beatlemania.